The Inaugural Alliance Cup is hosted by PA Classics and APL Tournaments and will be held on June 1-2 in Lancaster, Pennsylvania. 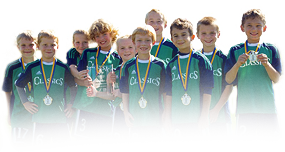 The tournament is designed to give a fun but high-level professional experience on quality fields to teams that play at the "B" and "C" travel soccer level. This is not for Premier teams.